Blaise Pascal (1623-1662) wrote: “Nature is an infinite sphere of which the centre is everywhere and the circumference nowhere”. We encounter nature daily; we can hardly avoid it, even if it is only in the form of a humble fly who crawls through our open window or the scent of distant park flowers on the breeze. Taking time to notice nature enriches my day beyond measure. The more I look, the more I see. 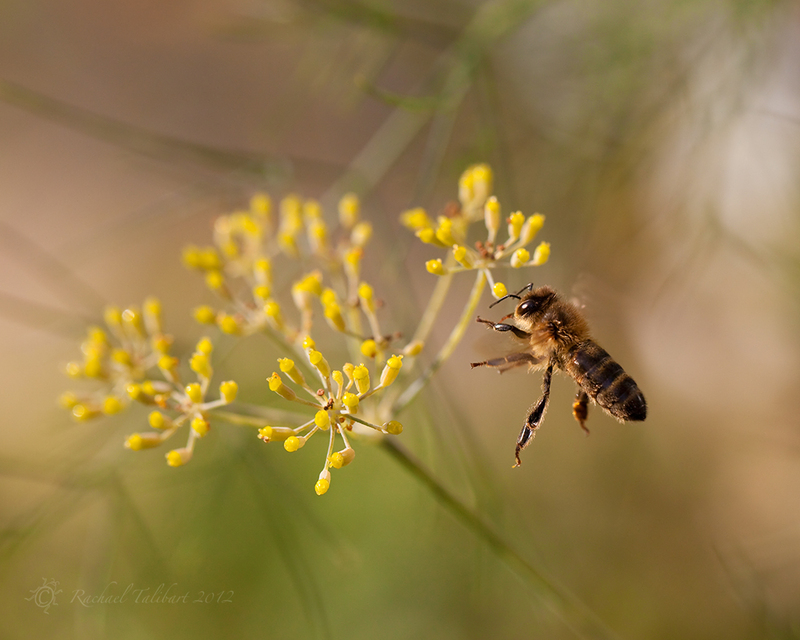 Have you ever taken the time to watch a honey bee? I mean for several minutes or more. Watch how the light glistens in its wings as it hovers before its chosen blossom, forelegs outstretched for a gentle landing. Notice how the evening light catches the soft hairs on its back, and its eager tongue, already prepared as if it cannot wait to savour the sweet nectar. Or how about the bustling bumble bee? It announces its approach with an bombastic buzz before blundering onto its pollen-heavy landing pad. A smaller bumble comes careening in; too busy to linger, it is gone almost before the shutter can click, a momentary sway of the flowerhead the only sign of its passing. It has become a cliche to speak of mindfulness, or living in the moment. I don’t know if our lives are busier now than they were a generation ago, or a century ago but, for me, a full life must still contain moments when all its demands are put to one side. Photography has opened my eyes to daily treasures. And the digital age has added the joy of sharing them. Sometimes, however, it is also good to put the camera down and simply look, listen, smell, taste, touch. That’s all; I am going outside now. 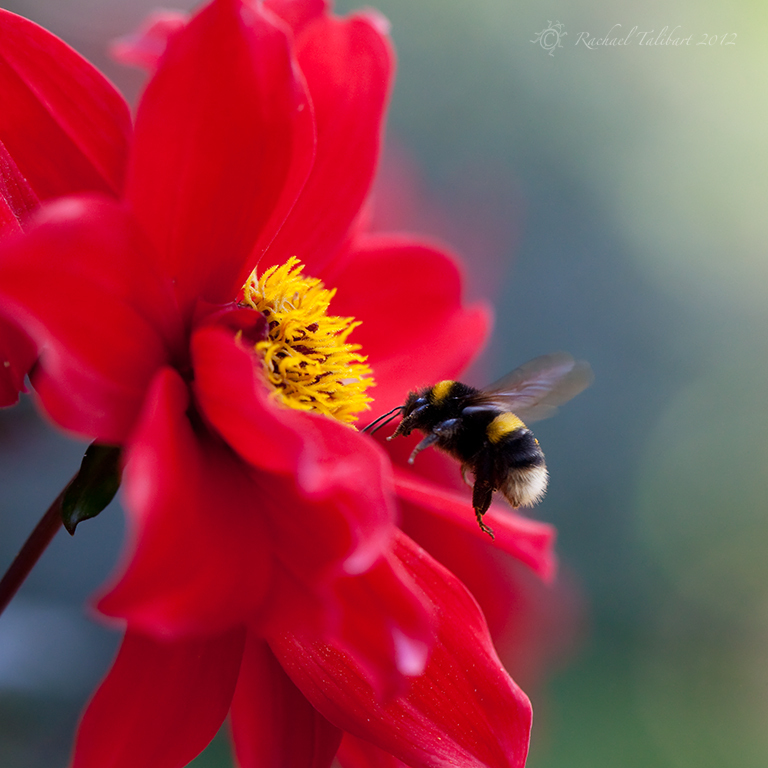 This entry was posted in garden, literature, nature, photography and tagged bees, flowers, garden, insects, macro, Maria Edgeworth, mindfulness, Pascal, photographs, photography by Rachael. Bookmark the permalink. Beautiful photos and beautiful message behind this post. It’s funny. I think we’re actually using the excuse of “I’m busy” to truly take a moment and enjoy our lives. Look at the smaller things and enjoy them for what they are. Hi Jaina. Thanks. I agree. If I don’t manage to find time in the day I always feel the lack. Great post and sentiment. I think I’ll go out (just to my garden) and spend a while looking at bees. Thank you, James.vThe fact that this post inspired you is the best reward possible. And you got a great shot out of it too! 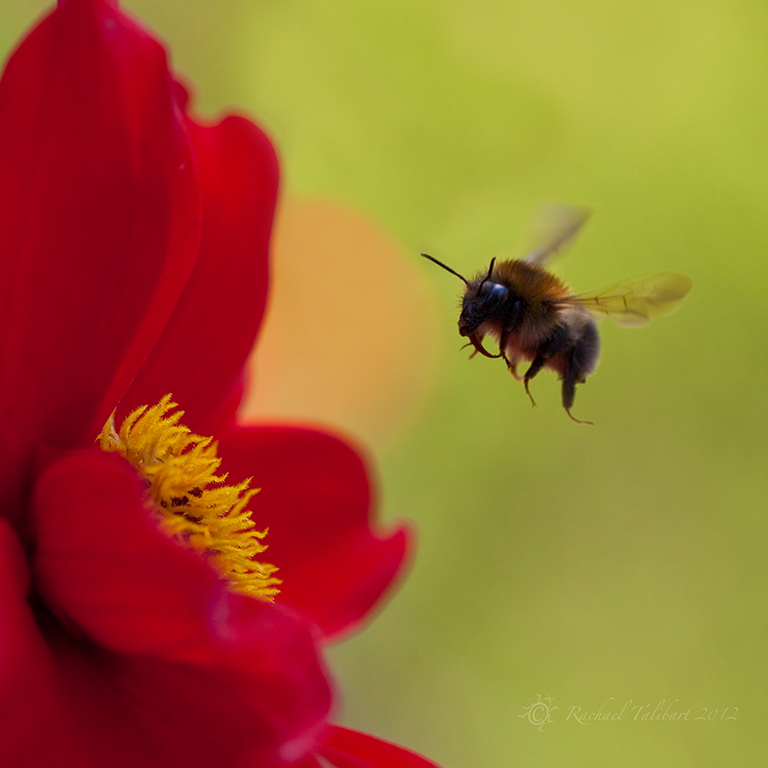 I love the pictures and I love watching the bees, they fascinate, the more you watch them, the more you want to watch them. Then again, having my camera along, makes me see or pay closer attention to my surroundings. It’s put me in the habit of looking more closely. Oh me too. I have to remember sometimes to put it down or my children start to tell me I see the world in rectangles. Very astute observations here, Rachael. I sometimes find myself defending the role of photography in travel/walking against the (oft true) stereotypes of mindlessly snapping tourists. I have made similar observations to you about photography putting you “in the moment”. I thought about it a lot on my recent trip. As a walker, stopping and allowing yourself a minute or two to line up a shot is a way of making sense of what you see and briefly bonding with it. I would say I sacrificed half an hour or so per day for taking pictures on my latest journey, time I could not afford to waste in walking 50km+ per day, but it was worth it to briefly rest, take a breath and actually LOOK at my surroundings. And I reckon good outdoor photographers become better at actually noticing things around them and they way they connect to everything else, even when they’re not carrying a camera. Wow, these are fantastic shots! 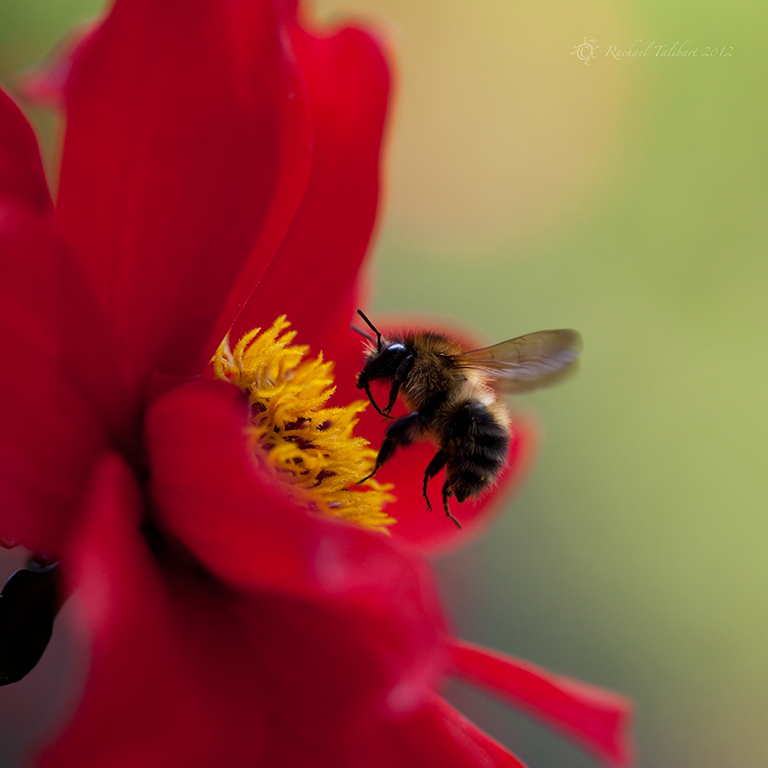 I have a soft-spot for bees…have you seen the movie, “The Secret Life of Bees?” I found your site through Tricia A. Mitchell:) Cheers! Hi. Thank you very much! I haven’t seen the movie but I have read the book. Most enjoyable. ooops!! LOL. 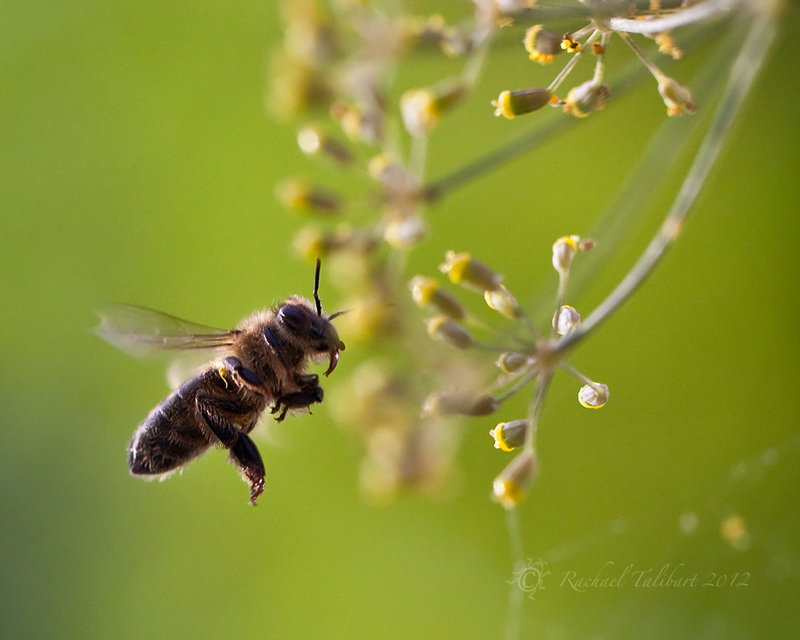 I meant to say “Queen of the Sun”…it is a beautiful documentary about bees. But, YES, ‘The Secret Life of Bees’ is a great story!! 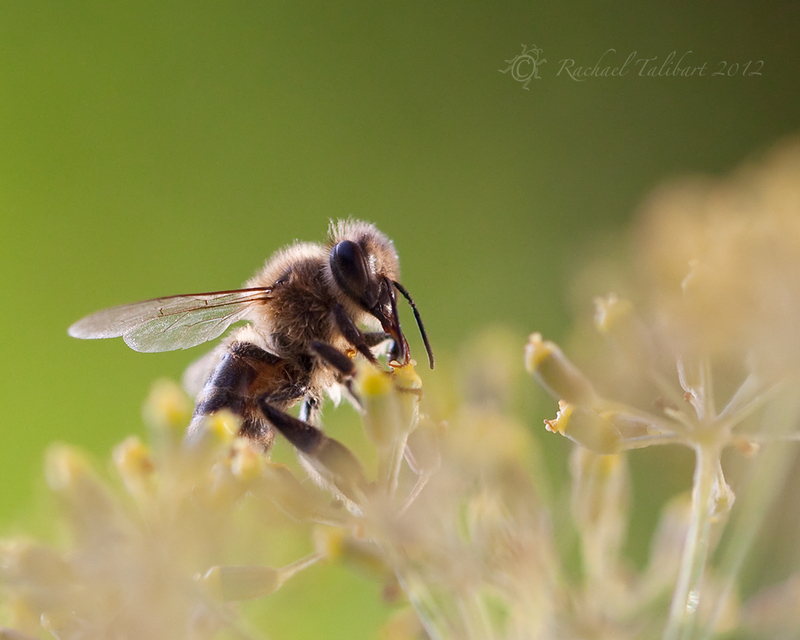 Rachael, I love your pics! How would I go about contacting you for use on a website? I particularly like this post. It reminds me of a moment when I was sitting atop a cliff in Cornwall at some silly hour waiting for the sunrise. I was so captivated by the sights and sounds of my surroundings that for a while I forgot to take any photographs!